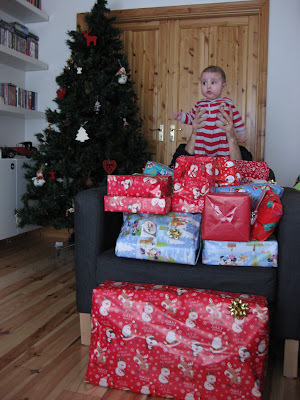 The cutest little boy...Merry Christmas to you all and safe journey. Talk to you all in 2010. Hugs, Margie. he is getting so big already..